Have you ever tried to make your own nut milk? It's delicious and not difficult. I tried quite a few different kinds of nuts and grains but I like cashew milk the best and it's the easiest. I only make the milk for my morning coffee so I don't need much - but you could easily make more for consuming. 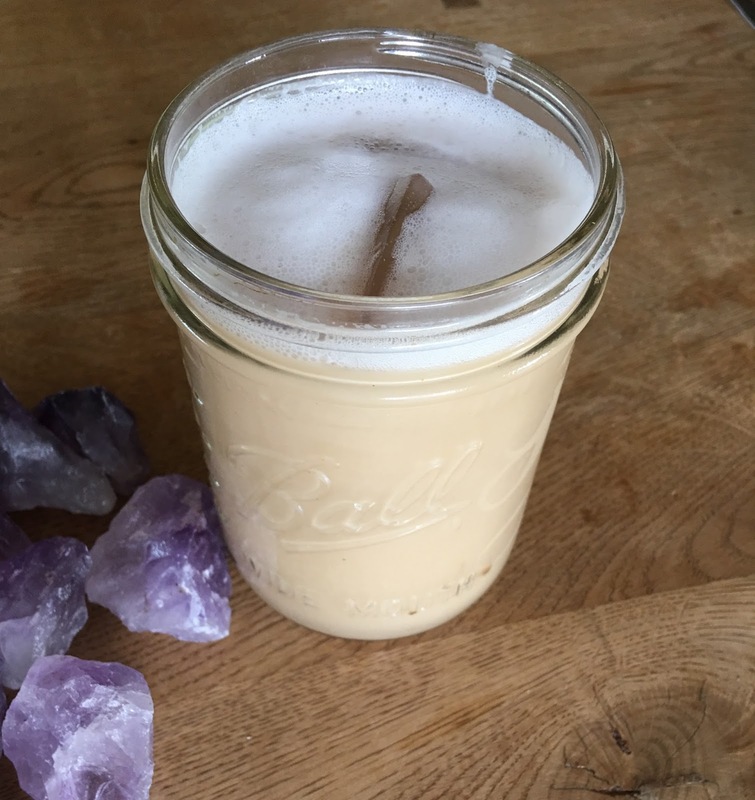 You would not believe how delicious your own nut milk is in coffee! Take a look at the ingredients of any nut milk you are currently using... yuk right!? gums and other things you might not want to consume. That as well as I was drinking it every day with my coffee and I couldn't stand it anymore. The only thing you have to do is remember that you need to soak your nuts overnight (oh my kids would hysterically laugh if I said that out loud). I love almond milk but it's way too difficult to do on a daily basis (you actually don't need to make it every day - I make it every OTHER day... and I think you can refrigerate for three days and it's okay). So, that brought me to walnuts, amaranth, oats, I've tried quite a few things and sometimes when I don't have enough of one I just combine a few. At any rate I have found that cashew milk is the easiest (you don't even have to strain it!) and it comes out a milky white color that looks like... well... MILK! 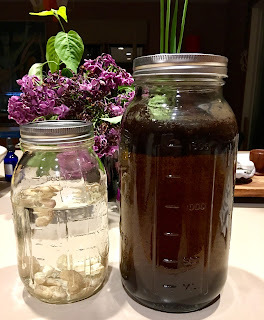 take a large ball jar and put about 1/3 cup of nuts in (you will be surprised how few nuts you need to make the milk) and just a few grains of salt - you are basically sprouting the cashews. Fill jar 3/4 with filtered water. You can also add: cinnamon or any spices you like? Let jar sit over night on counter. In the morning you can just throw in blender (or even better in a vitamix) and blend for a couple of minutes. You don't even really need to strain it but you can just in case there are lumps. From time to time I add some honey or agave for a bit more flavor. If you don't use it all right away refrigerate and use within 2 days. In the wintertime when I drink hot coffee I warm up the nuts and water before I put in vitamix - I even add some coconut oil - which is super delicious! Otherwise, I make cold brew coffee with my home made cashew milk... YUM! night time photo of cashews soaking and my cold brew coffee so I'm all set in the morning! It's time for a Lucky Fish Saturday Workshop!